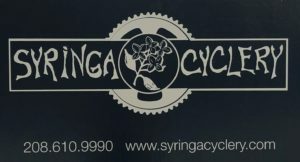 Our approach at Syringa Cyclery is to provide quality bicycles that will last a lifetime and meet each customer’s unique specifications and aesthetics. To do this, we source bicycle frames and componentry from a wide range of manufacturers, focusing on products from smaller outfits with a reputation for fine quality. While the big name-brand bicycle manufacturers offer quality products, we find that our customers prefer the beauty and quality offered from some of the smaller builders. Once the customer has selected the desired bicycle, we work together to ensure proper sizing, and comfort. So, come visit us at the shop where we can peruse catalogs, perform bike fitting measurements, and spec. out a bicycle of your choosing.